No one gets through life without a few bumps and bruises, sometimes we forget that we are not alone in that pain. Hardship comes in many varieties and the books in this series offer varied examples but present a common theme: there is hope along the way. 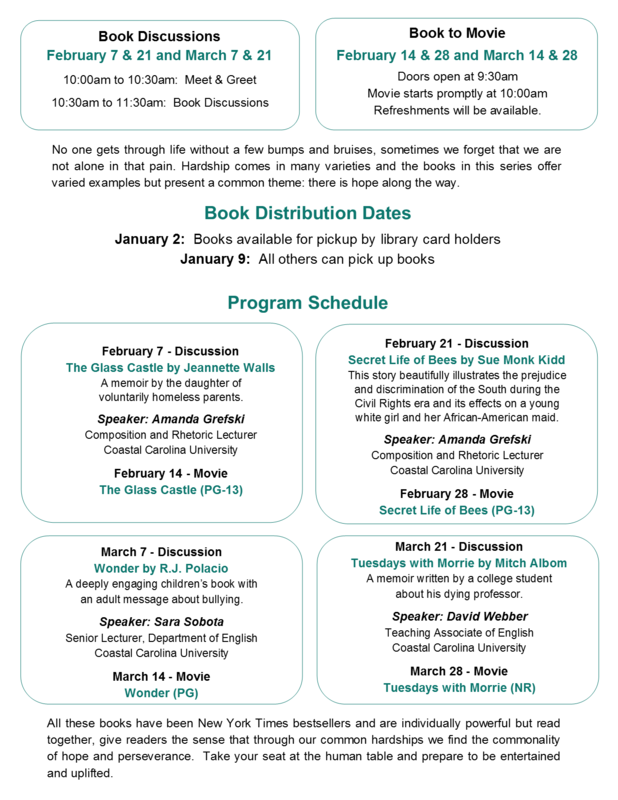 For more information, contact Deb at 843-918-1275 or see the library webpage at www.chapinlibrary.org.